Aesthetic Medicine Market Worth Over USD 18.5 Billion by 2024: Global Market Insights, Inc. 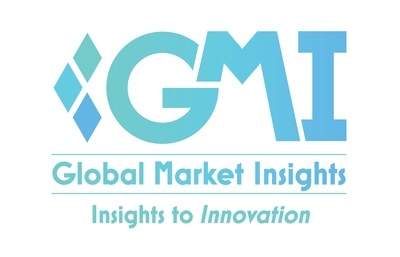 Global Aesthetic Medicine Market revenue is expected to cross USD 18.5 billion by 2024, says a new Global Market Insights, Inc. report featuring key industry trends across the type, product, gender, end-use, and regional landscape. Rising consciousness toward physical appearance, increasing disposable incomes, development in less invasive treatments, and continuous advancement in healthcare facilities have substantially impelled the overall aesthetic medicine market growth. In 2017, non-surgical procedures accounted for the largest revenue share of the global aesthetic medicine market and is further projected to record a CAGR of 10.8% over 2018-2024. According to the report, the females segment contributed to over 80.2% of aesthetic medicine market share in 2017. Escalating demand for breast augmentation, cosmetic procedures, and other surgeries to look young & beautiful have been identified as the key factors driving the segment growth. Aesthetic medicine market size from hospitals is anticipated to exhibit an annual growth rate of 9.7% over 2018-2024, driven by the developments in healthcare infrastructure and the affordability of hospitals to invest in high-cost instruments. The key players profiled in the report are Galderma S.A., Cynosure, Lumenis Ltd., Merz Aesthetics, Inc., Syneron Medical Ltd., PhotoMedex, Inc., Johnson & Johnson, Alma Lasers, Allergan plc, ZELTIQ Aesthetics, Inc., and Valeant Pharmaceuticals International, Inc. The companies have been profiled in terms of their product portfolio, strategic outlook, SWOT analysis. Molecular Diagnostics Market outlook was valued at USD 7.2 billion in 2017 and is expected to witness more than 8.5% CAGR from 2018 to 2024. Increasing geriatric population across the globe will render significant positive impact on global market growth over the forecast timeframe. Joint Reconstruction Devices Market revenue was valued at over USD 16.7 billion in 2017 and is expected to witness 3.7% CAGR from 2018 to 2024, driven by rapidly expanding aging population base along with increasing number of centenarians.